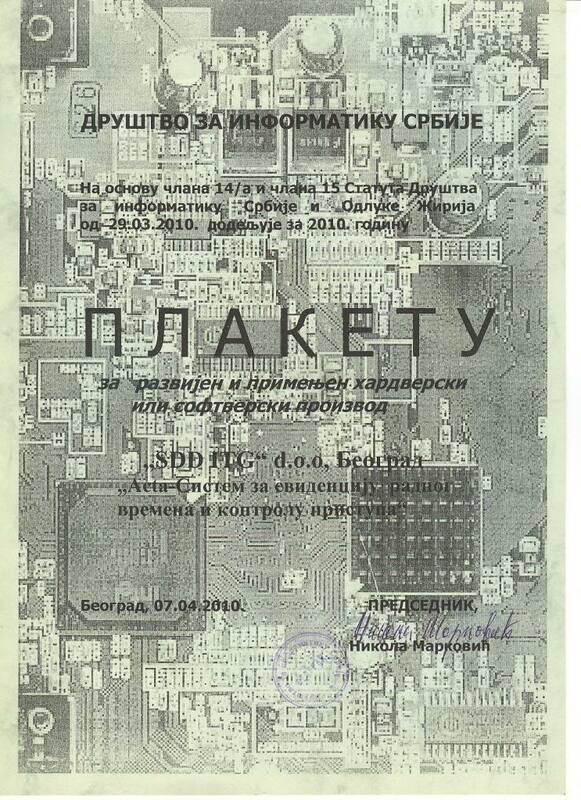 President of the Serbian Information Technology Society (DIS) Mr Nikola Marković has given the awards for extraordinary contributions in information technology development for 2010 on the ceremony organized in Serbian Chamber of Commerce today. Ceremony was followed by presentation of awarded projects. Award for best developed and implemented hardware and software system was given to SDD Information Tecnology Group, for Access control and time attendance system.